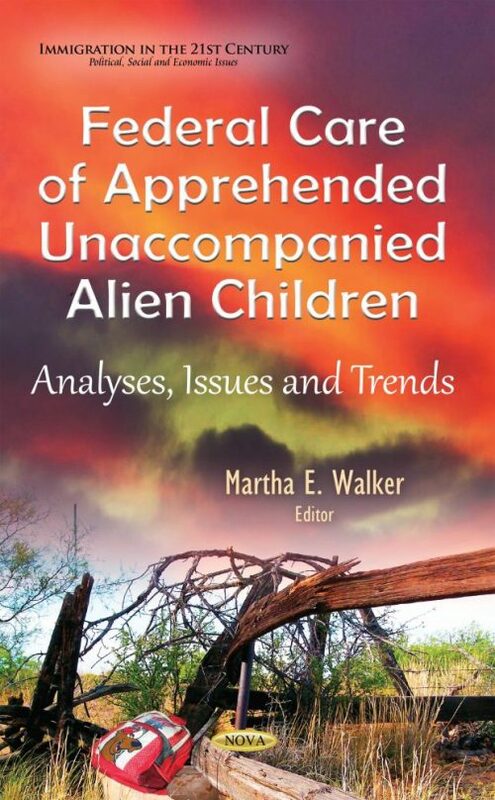 In FY2014, the number of unaccompanied alien children (UAC) that were apprehended at the Southwest border while attempting to enter the United States without authorization increased sharply, straining the system put in place over the past decade to handle such cases. UAC are defined in statute as children who lack lawful immigration status in the United States, who are under the age of 18, and who either are without a parent or legal guardian in the United States or without a parent or legal guardian in the United States who is available to provide care and physical custody. To address the crisis, the Administration developed a working group to coordinate the efforts of federal agencies involved. It also opened additional shelters and holding facilities to accommodate the large number of UAC apprehended at the border. This book opens with an analysis of recent UAC apprehension data. It then discusses current policy on the treatment, care, and custody of the population, with a description of the responsibilities of each federal agency involved with the population. The book then discusses both administrative and congressional actions to deal with the UAC surge in FY2014 and ongoing action to address possible future surges. Furthermore, the book examines, among other things, the extent to which DHS has developed policies and procedures to screen all UAC as required and care for all UAC as required.